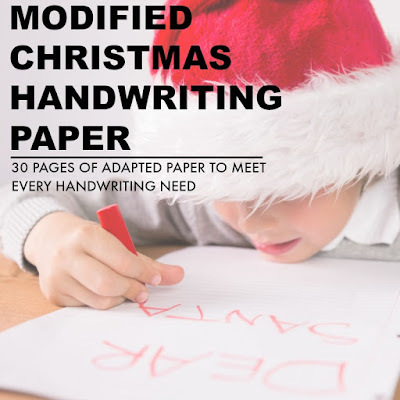 Recently, there was a question in our Sweet Ideas for Handwriting Help facebook group about Christmas activity ideas that promote the development of fine motor skills. These Christmas Fine Motor Activities are creative ideas that boost dexterity, build fine motor strength, promote precision of grasp, enhance separation of the two sides of the hand, and enhance tripod grasp. 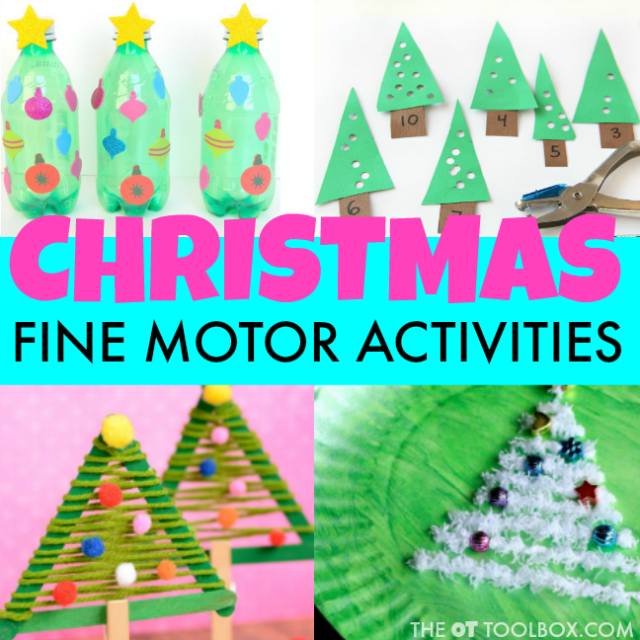 These fine motor ideas can be used in the classroom as a Christmas craft that doubles as a fine motor activity and can be used to help kids develop the underlying fine motor skills that are needed for so many functional tasks. Go through the activities below and find your favorite way to play and develop fine motor skills this holiday season! 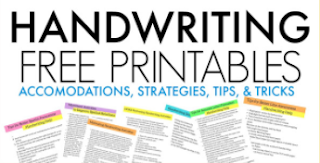 Check out the Sweet Ideas for Handwriting Help Facebook group for lots of handwriting resources. When kids make crafts or holiday decorations, they are using and developing many skills. Manipulating tools such as scissors, glue, hole punches, tape, glitter, etc, kids experience various tactile experiences. Creating with paper or other material requires visual motor skills (eye-hand coordination), fine motor manipulation and strength, dexterity, bimanual coordination, visual perceptual skills, visual attention, prehension, midline crossing, and visual spatial awareness. 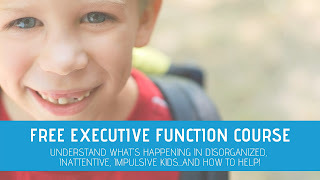 By using tools such as scissors or a hole punch, children can gain proprioceptive input that can be calming within the classroom environment. Use this Christmas Tree Hole Punch activity to develop strength in the hands and more. This activity uses a hole punch to create lights for each Christmas tree. 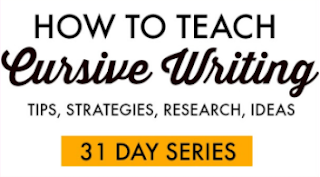 The bonus with this craft is the learning and math component. Add a colorful twist by adding colored tissue paper to the backs of the trees with glue. Use crumbled tissue paper to create this Fine Motor Christmas Tree from Crafts on Sea. Crumbling paper develops the arches and builds strength in the hands. Kids will love this Christmas Jingle Bell Sort activity and won't even realize they are building skills they need for development. This activity can be used all season long to help kids develop in-hand manipulation and separation of the two sides of the hands as kids sort colored jingle bells. 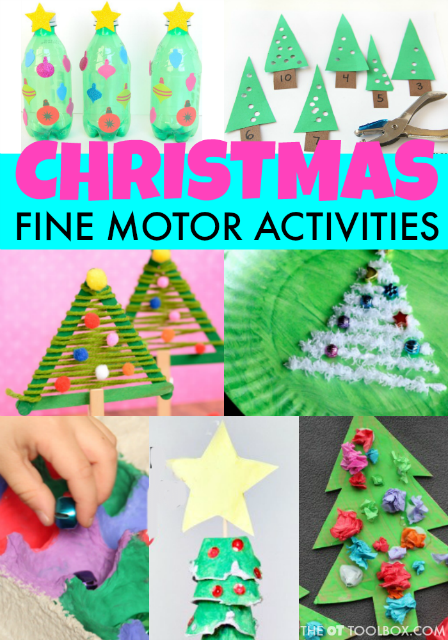 Make these Fine Motor Lacing Christmas Trees from Happy Hooligans to develop skills like visual motor integration, bilateral coordination, tripod grasp, and more. Creating this Snowman Fine Motor Craft is a fun way to develop skills like bilateral coordination, pincer grasp and more. This craft is one that builds fine motor strength and precision while creating a fun holiday decoration. Boost fine motor skills like grasp, strength, and more when making these Craft Stick Christmas Trees from Easy Peasy and Fun. This Fine Motor Christmas Tree Craft addresses many skills needed for development and function. 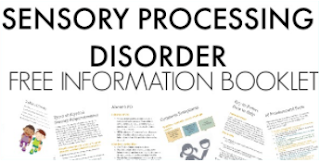 This craft has been very popular here on The OT Toolbox. It's a way to recycle egg cartons while working on various skills: bilateral coordination, fine motor strength, visual attention, spatial awareness, arch development, wrist extension and stability, and more. These Fine Motor Christmas Trees from Stir the Wonder are fun decorations that promote bilateral coordination skills. Use recycled bottle caps to make this Bottle Cap Fine Motor Christmas Tree Craft. This fine motor activity can be a holiday decoration that boosts fine motor skills such as precision, in-hand manipulation, tip-to-tip pincer grasp, rotation and dexterity of the fingers needed for in-hand manipulation, and bilateral coordination. You can find more Christmas themed play and fine motor crafts and activities here on this 25 days of Christmas Play series that we shared a few years back.